Can you believe it is OCTOBER already!! - There is a chill in the air here on the east coast, and Fall is upon us! 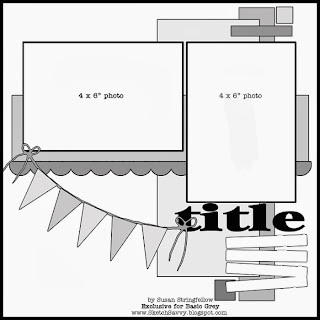 We are going to take it easy on you this month and CHALLENGE you with a ONE PAGE Layout this time. You can even use up some of your scraps for it - but I opted to break in my NEW GOODIES from Simple Stories "SAY CHEESE" line and kicked the sketch up a notch for ya! Once again we've decided to use PINTEREST for our sketch source - ( because yours truly LOVES scouring Pinterest for sketches, scrappy ideas and recipes!) and there are just so many good ones out there!! We are ALWAYS thankful/grateful for all those who share! Thanks this month go to Susan Stringfellow at www.sketchsavvy.blogspot.com Thanks Susan! I still have lots of photos left to scrap from my 50th Birthday trip to WDW back in September of 2011 - talk about time flying!! LOL!! 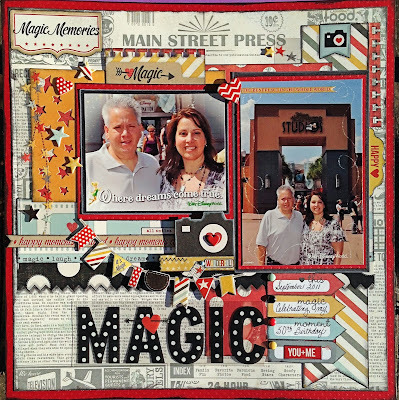 - so I broke open my "purple bag of goodies" from my favorite ON-LINE and Local Scrapbook Store - Scrap-a-Doodle Doo - and had a BLAST using my new "haul" of Simple Stories "SAY CHEESE" papers and embellishments!! Here is my take on the sketch - What do you think? I JUST LOVE this paper line - well - I kinda LOVE most ALL of Simple Stories paper lines - but combine their GREAT products along with a DISNEY Theme - and YOU KNOW I'M SOLD!! Below is the list of items that I used - and you can hop on over to my BLOG for some close up photos, along with a few details if you'd like too! 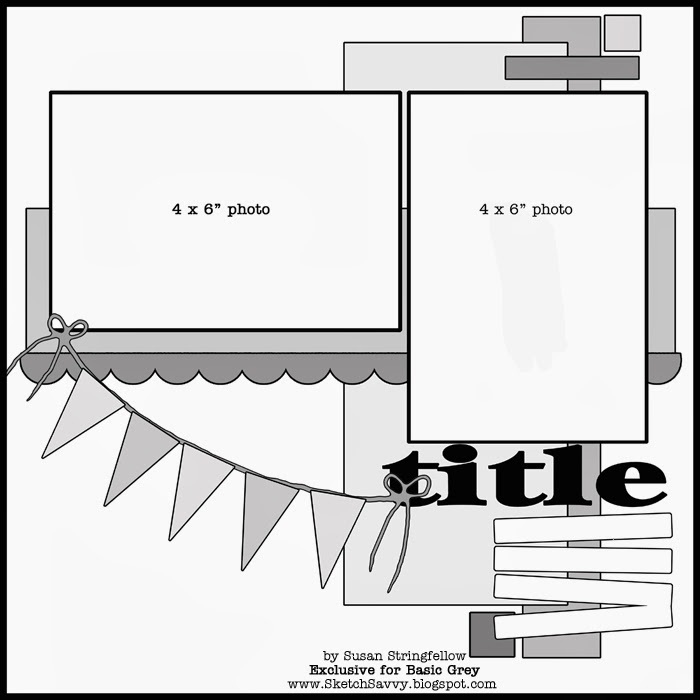 #3314 "2x12 Border, 4x12 Title Strip Elements"
We post a sketch challenge each month, (both on this BLOG and on THE DOO's Facebook Page.) Qualifying participants will be entered to win a $10 Gift Certificate to Scrap-A-Doodle Doo. In order to qualify, you must interpret the sketch provided (so we can "see" it!) and submit your entry via Mr. Linky below before the end of the month. 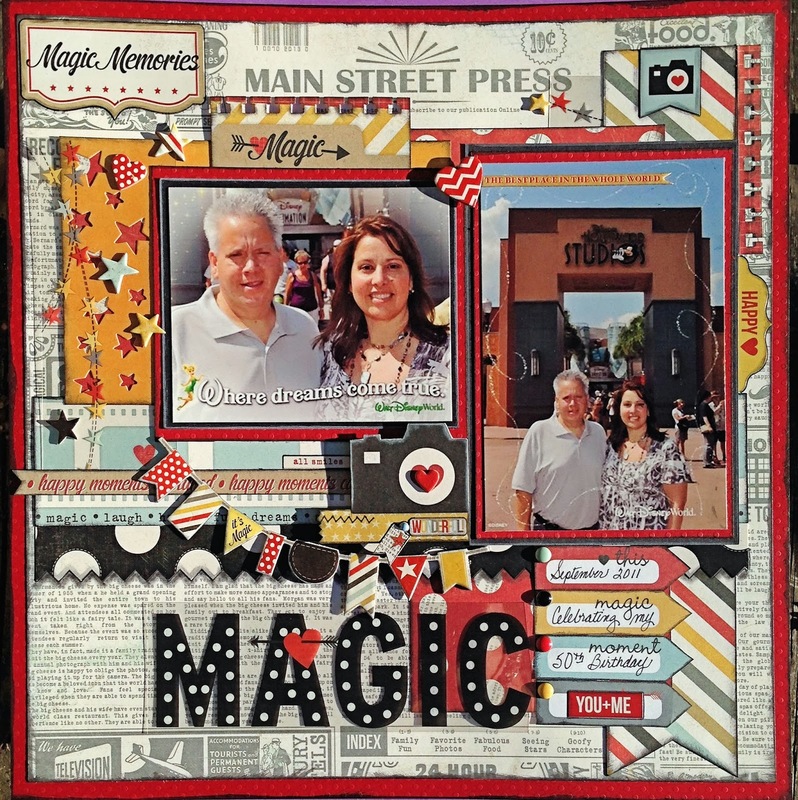 Because this is a Scrap-A-Doodle Doo sponsored challenge, ONLY layouts, cards, or projects submitted that use products carried/sold by Scrap-A-Doodle Doo will be eligible to win the Gift Certificate. (Because Scrap-A-Doodle Doo has literally THOUSANDS of items from over 250+ manufacturers, this should be easy! :) Winner will be chosen by a random generator on the 15th of the following month (in this case NOVEMBER 15th) Contest is only open to US residents, but EVERYONE is welcome to play along! I hope the layout above and this sketch has inspired you to give The Doo's OCTOBER SKETCH CHALLENGE a try! So come on - and get Scrappy With It! We CANNOT wait to see what all of you will come up with!! Be sure to LINK up your photo here with the Linky Button! GOOD LUCK and HAPPY SCRAPPIN'!